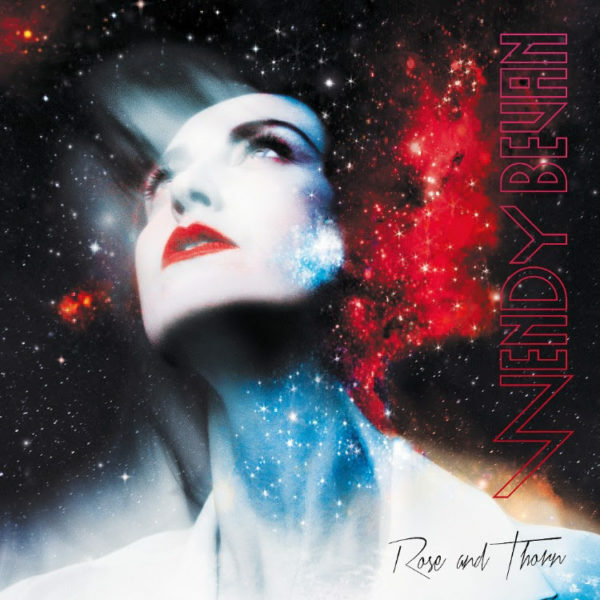 One of the most bewitching albums I’ve heard all year is Rose & Thorn by British artist Wendy Bevan. Not merely a singer/songwriter/violinist, Wendy works in a variety media including film, visual imagery and intense, experiential artworks. To experience any of her work is to step into an alternate world where Wendy is Goddess, creator of all. 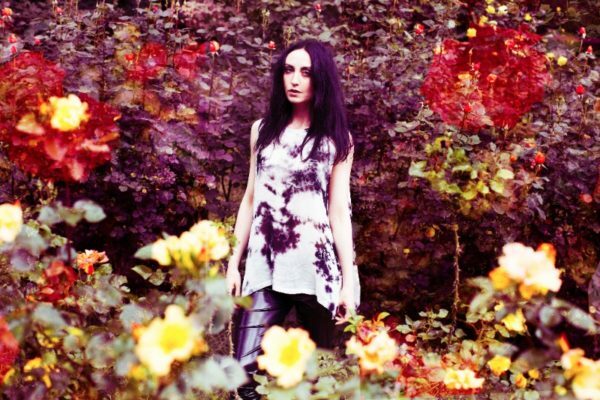 Over the years she’s worked with such producers as Paul Simm (Neneh Cherry/Amy Winehouse) and Howie B (Björk/Tricky). 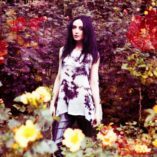 Rose & Thorn was produced by none other than Marc Collin of Nouvelle Vague and film score fame and has a rich, colorful sound in spite of the fact that it’s actually described as minimalist. After listening to the album a few times I simply had to learn about what makes her tick, so impressed was I by her artistry. Since there is an ocean between us, the interview was conducted via E-mail. MM: As your Soundcloud page states, you are a “vocalist, visual artist, lyricist, photographer, filmmaker, and performer.” Which one of these did you do first? If music wasn’t first, at what point did you decide to start making music? WB: I’ve always made music. I love performing most of all and i think i manage to express that through which ever platform i choose in my work- be it visually or musically. MM: If you had to describe your music to someone who’s not familiar with it, how would you describe it. WB: Cold Wave/ Electronic Rock- comparisons have included KAS product, Siouxie Sioux, Depeche Mode via Suicide. MM: You’re also a violinist, correct? How did you learn to play? Did you take lessons as a child or did you learn in college or are you self-taught, etc? If you took lessons as a child, did you want to take them or was it a situation where parents strongly suggested it. WB: I picked up the violin when i was 7 and started having lessons then. I chose the violin at a young age and instantly fell in love with it, for me its the instrument that is closest to the human voice. MM: I read that you were part of a band called Temper Temper. Is the band still together? If so, how does the band’s music differ from your solo output? WB: No Temper Temper separated in 2013. It was a project i formed a few years previous to this and it was the coming together of 4 multidisciplinary artists and musicians. In performance the theatricality of the songs really came alive. It was very much a project that was dedicated to the live show. Musically influenced by artists such as Antony and the Johnson’s, Mercury Rev, the Tindersticks meets Marlene Dietrich. MM: How old were you when you wrote your first song? Do you remember what it was called? WB: I can’t remember what it was called but i wrote lots of songs when i was a kid- i should try and find some of them i used to record them on cassette tape. MM: How does the songwriting process usually work with you? Do you start with beats, lyrics… how does the magic happen? How did the songwriting process in Temper Temper differ from your process when you write your solo material? WB: I start with beats and write some lyrical concepts around this and build a foundation for the world i want to create with the song. I then forget about it, live with it, sleep with it, eat with it, walk with it and then come back to it with more ideas, lyrics and structure. With Temper Temper i co-wrote most of the songs with the pianist in the band Seiriol Davies, and then arranged them with the band. MM: Your lyrics are very poetic. Do you also write poetry by any chance? MM: I understand you used some old school drum machines on Rose & Thorn. Could you tell us which ones? WB: I’ve gathered a collection of drum machines through the years. My idea was to use all of them on the album, playing the original patterns from the different machines. We didn’t programmed anything, only used the original patterns like walz, bossa nova, shuffle etc. You can hear the Roland tr 77 cr78 and cr 8000, Korg mini pop 120 and 7 a Maestro rythm king. MM: The strings on your album were performed by the Balanescu Quartet. How did you connect with them? Have they done anything else we should know about? WB: I met the Balanescu players through some musicians friends in London Katie Wilkinson who is the Viola player and arranger in the quartet loved the album and suggested they wrote some arrangements for the songs. For me, it seemed to be a perfect match especially given their history with the Kraftwerk project. WB: I wanted the album to feat the quartet so i asked them to play. I’m not a member of the quartet but, for my live shows I have played with some of the players. MM: Marc Collin produced your entire new album. How did working with him differ from working with the producers you’d worked with in the past? WB: Working with Marc was a great experience. We have worked on a few different projects over the last years so are familiar with how one another develop ideas in the studio. We are working on the next album right now. MM: Since Marc produced your album, I’m wondering, will you be singing on any upcoming Nouvelle Vague songs? MM: You’ve done exhibits where you’ve shown your photographs while playing your music. Were you performing live in those situations or were you playing your recordings? Could you tell us about any of these exhibits? For example, was there a certain theme to the photographs that accompanied specific pieces of music? WB: I was performing live in those exhibits, and have also written a soundtrack especially to accompany the work, for example I wrote an experimental violin album entitled Slowlight to accompany a body of photographic self portrait work. It became an audio/visual installation. All the elements worked in their own right- the piece of music became an album and the photographic body of work was a separate series. MM: There’s a male singer singing with you on “Lover.” Who is he? How did you come to collaborate? WB: The male singer is a sample of my own voice and then placed down several octaves- a duet with myself, so the collaboration was very easy. I like playing around with gender roles. MM: Are all of the songs on Rose & Thorn about you or did you write songs about characters and such? WB: The songs I write reference my own interpretations of myself and different characters i meet both in reality and fantasy. MM: Trust seems to be a reoccurring theme on the album. How easy or difficult is it for you to trust people? Do people have to earn your trust or do you start off trusting them until they give you a reason not to? WB: Instinctively I like to trust people and i see the best in them, until they give me a reason not to. MM: Minimalist is a word used to describe your sound in the press release I received. Why did you take this approach with the album? Is the idea to have the music be sparse so your vocals can be that much more of a focal point? WB: Yes we chose this way of working the sound because of the concept of the album, also the live set up and i’m a vocalist- so i wanted the lyrics and toppling melody really to take you through as a narrative. MM: Some of your songs on Rose & Thorn remind me of James Blake a little. Is he an influence? MM: Who are the music artists who predominately informed Rose & Thorn? MM: If you had to pick one form of artistic expression and that was all you could do for the rest of your life, which one would you pick? WB: Its very hard for me to choose but i couldn’t imagine my life without music. MM: Out of everything you do, what gives you the most satisfaction or pride? WB: Performing and singing my songs live on stage. I’m a story teller. MM: What do you think about the comeback vinyl records are making? Will Rose & Thorn be released on vinyl? WB: It is available on vinyl! I’m very happy about that. MM: Do you listen to vinyl? If so, do you have a large vinyl collection? If so, just how large is it? WB” Yes i have a great collection. Unfortunately i have had to let go of some of it recently as i have moved but, be rest assured it has all gone to good homes. MM: What do you think about streaming? Does the benefit of the exposure outweigh the fact that it’s not very profitable? WB: We live in a time now were we can only benefit from these decisions…this is the way it is and the exposure is positive. Finding profitable ways of selling music is another story. MM: Do you listen to a lot of streaming music or do you prefer to own the music you listen to? WB” I like to own music as i appreciate the artistry. I listen to a lot on vinyl but, i also like to listen and discover new artists online. MM: What are your plans to tour behind the new album? Will you perform in galleries or in music clubs or both? WB: I expect i will perform in both- but mainly music clubs as it is predominantly made with that in mind. MM: Will you bring the quartet with you on tour? Any chance you’ll be coming to the States? WB: I can work with string players in which ever city I play in, and tend to work live with a cellist and viola player. I have just played a show in NYC and in LA, i anticipate player many more in the near future. MM: How many dates do you anticipate doing? WB: I’m not sure but, i’ll keep you posted! MM: In what countries is your music the most popular? WB: In France and Germany the music has been very well received. The USA seem’s to enjoy it too! Rose & Thorn is out now via via Kwaidan Records/!K7 Records. Buy the album on vinyl from Amazon. On CD. Special thanks to Wendy for taking the time to complete the interview and to Leslie Cuc of Tell All Your Friends PR for making it happen! Great music. Just ordered the album on vinyl, which was strangely 4 bucks less than the CD. cool!